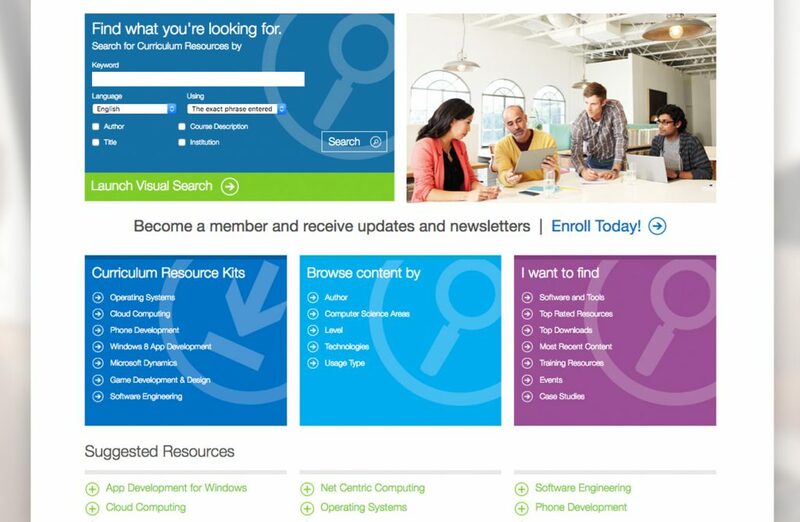 Working with an offshore team of developers to redesign a Microsoft website in the Metro Style? Challenge accepted! 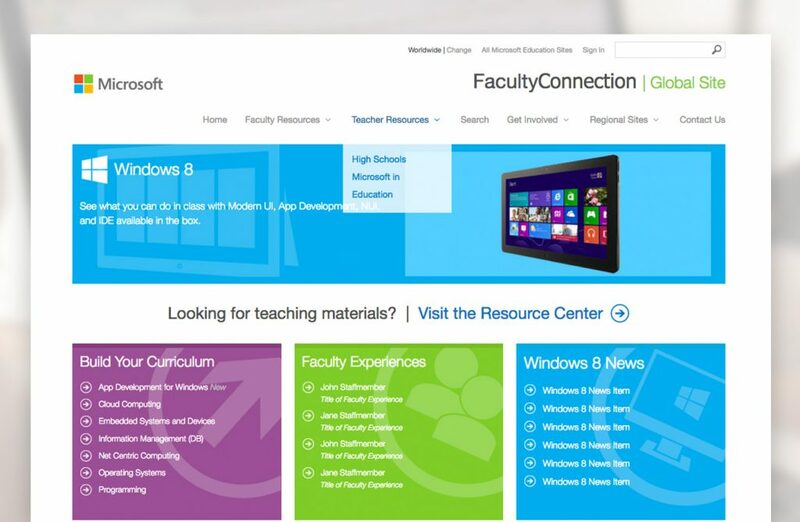 Microsoft has a ton of resources for faculty members of all kinds to help teach and use their products on their Faculty Connection Website. Up until this project, this website resembled Windows 3.11. 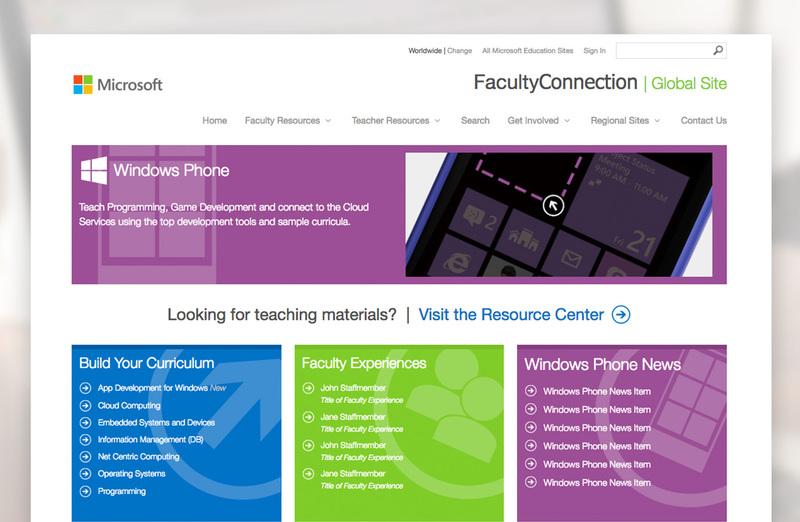 The goal of this project was to update the design to resemble the newer Microsoft brand and style, and provide a responsive mobile experience. I teamed up with developers from Firm Interactive both in Denver, CO and offshore in India, working overnight in many cases creating comps, writing HTML and CSS, and helping the team implement the design into a complicated ASP.net site. I would have loved to take it further and reimagine the user experience, but as these projects often are, the budget only allowed a certain scope. 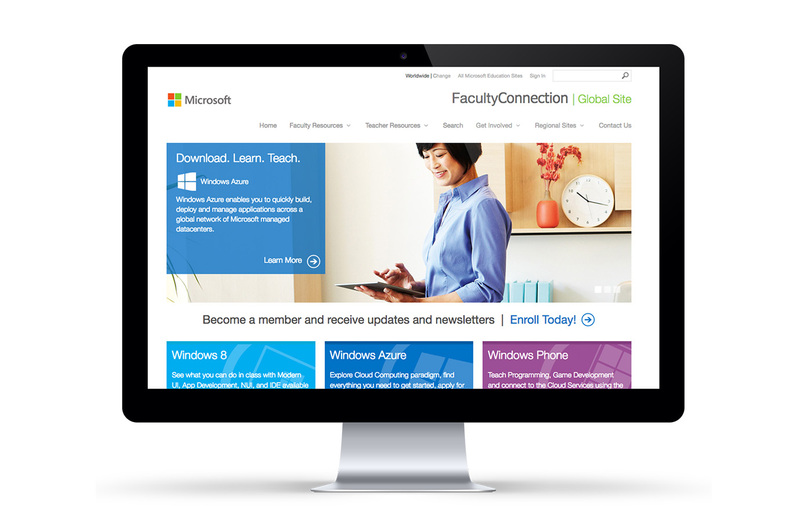 By the end we had launched a fresh new look into an outdated website and provided a tighter mobile experience.